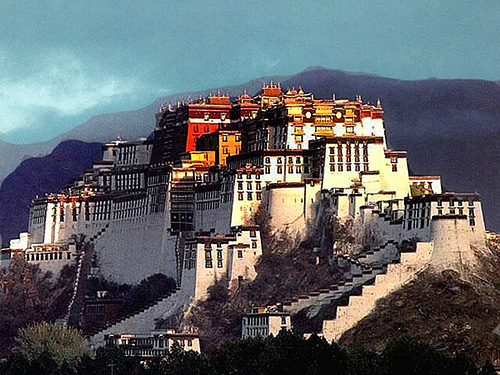 Frank Gehry reveals his inspiration Sources…. Here are Gehry’s unrevealed Inspiration Sources from the 90’s, when he developed his original Gehry’s style that he later also implement in his famous Bilbao Museum. Gehry’s style has a structure that consists of radically sculpted, organic contours. 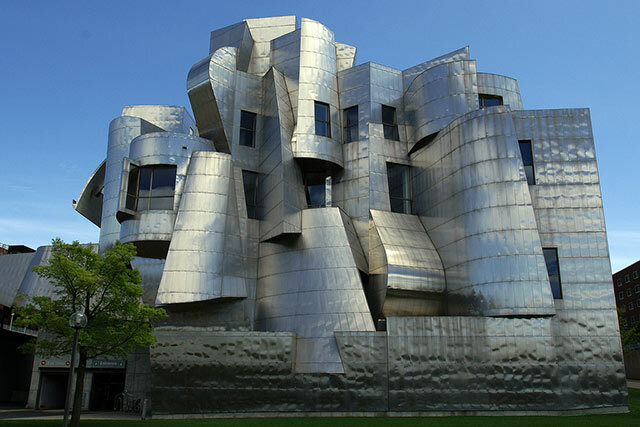 In this Post Frank Gehry reveals his inspiration Sources for the Weisman Art Museum (designed at the beginning of the 90’s) . In my future Posts I will share with you some more characteristics of Gehry’s Architecture…. Do not leave this Post…. before visiting my previous post about Le Corbusier Inspiration Sources for the famous la Tourette Monastery. 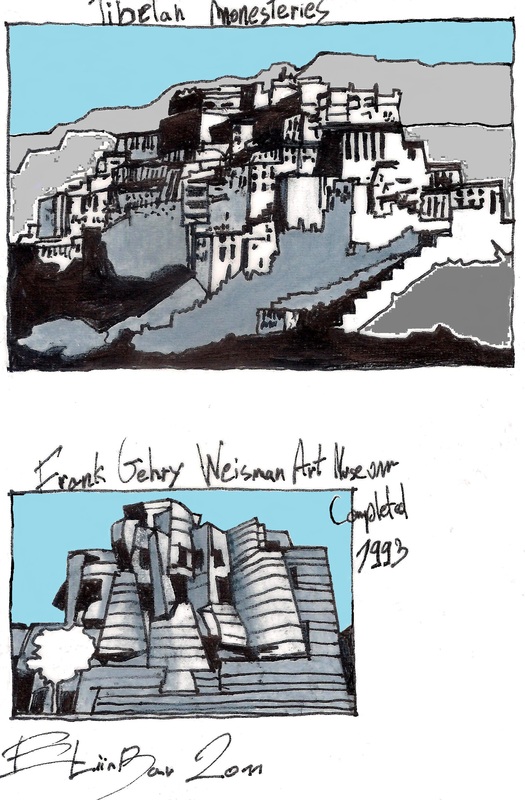 This entry was posted on October 17, 2011 at 8:36 am and is filed under public buildings with tags Bilbao Museum, CONSCIOUS INSPARATION PAGE, eliinbar Sketches 2011, Frank Gehry, Gehry’s style, inspiration sources, The Conscious Inspiration Methode, Tibetan monasteries, Weisman Art Museum. You can follow any responses to this entry through the RSS 2.0 feed. You can leave a response, or trackback from your own site.